[S1097] Unknown volume, Moore Co., N.C. Death Certificate, www.Ancestry.com. [S1128] 1930 Moore Co., N.C. Census. [S1129] Unknown volume, Moore Co., N.C. Birth Register, www.Ancestry.com. [S624] 1930 Nash Co., N.C. Census. Death*: Fanny Short died circa 1865 at NC . [S10] Franklin Co., N.C. 1860 Census, pg 499. [S1330] Greensboro News and Record, 14 Dec 2004. [S638] Unknown subject, Draft Registrations World War I. [S1310] Unknown name of person unknown record type, unknown repository, unknown repository address, Cemetery Survey provided by Joyce Duke 13 Dec 2009. [S1310] Unknown name of person unknown record type, unknown repository, unknown repository address. Birth*: James A. Short Jr. was born circa 1825 at NC. Birth*: James A. Short Sr. was born circa 1799 at VA. Marriage*: He married Tabitha (?) circa 1824. 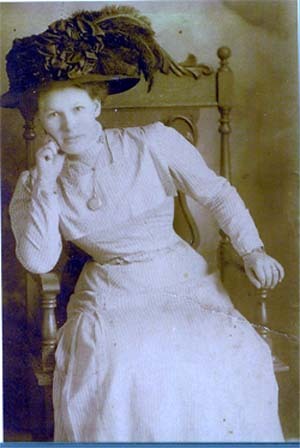 Birth*: Jane Short was born circa 1839 at NC. Birth*: Jane J. Short was born circa 1844 at NC. She was the daughter of Edward Short and Hulda Falkner. Marriage*: Jesse Short married Eddie Odell Stokes after 1951. [S522] The Daily Dispatch, 4 Aug 2004.